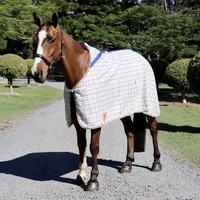 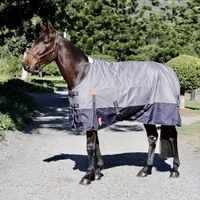 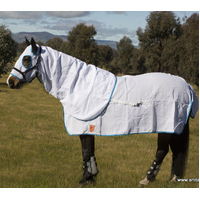 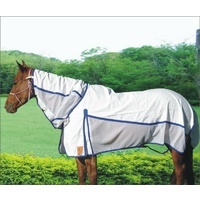 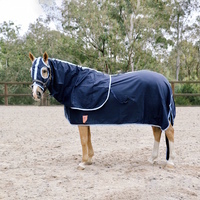 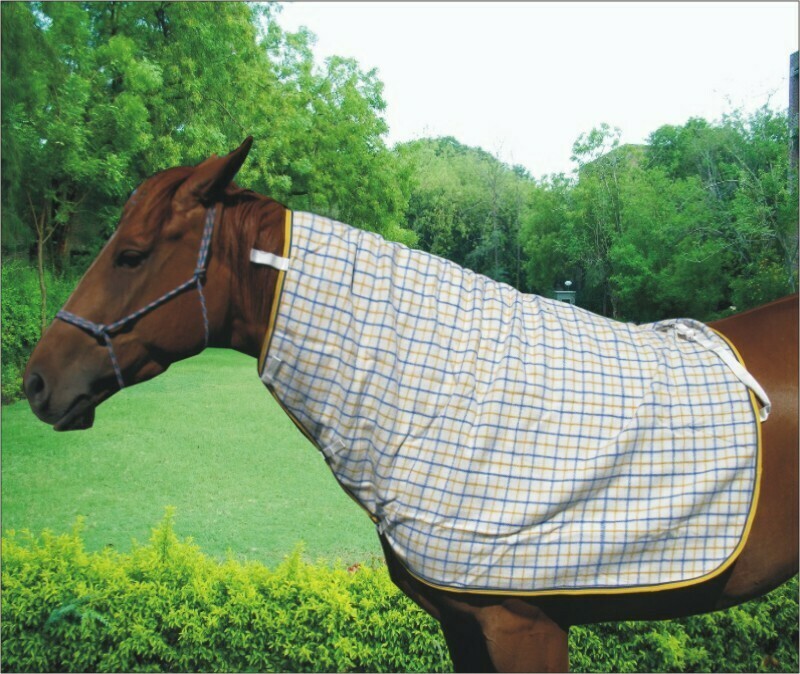 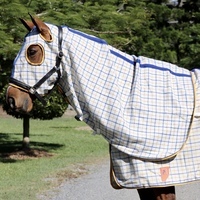 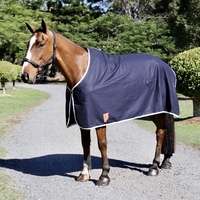 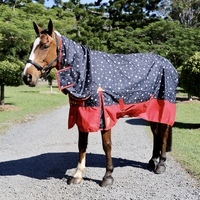 This neck rug would be a great addition to your Capriole rug or can work as a great under rug for your horse. 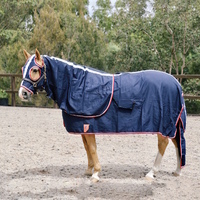 The neck is made using a 550 Gsm Collar Check Kersey Wool fabric in Gold & Royal Blue check and fitted with the highest quality metal and plastic fittings. 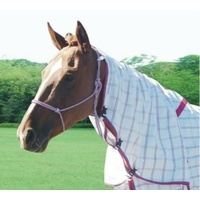 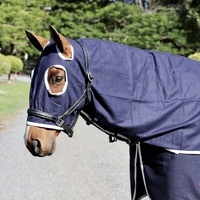 The neck is lined with a soft 70D lining at the mane to prevent any rubbing. 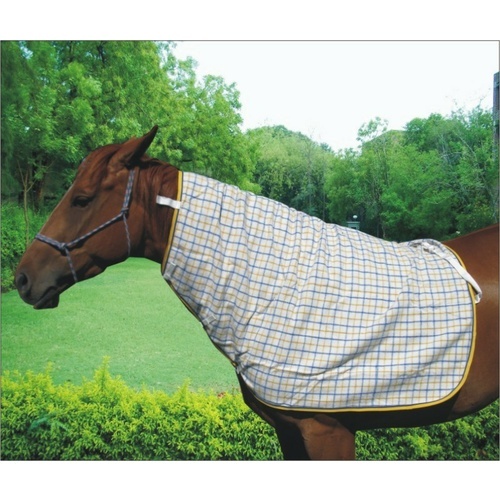 This neck rug is ideal to pair up with your Capriole Collar Check Wool rugs. 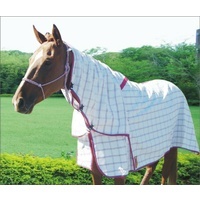 Generous size with quality plastic fittings. Attached connectors using steel snap hooks with SS spring.